My next post on Sandling Park is proving to be quite epic in its scope, so whilst I work on it I’m staying closer to home and sharing the sunny delights of Hosta fortunei var. 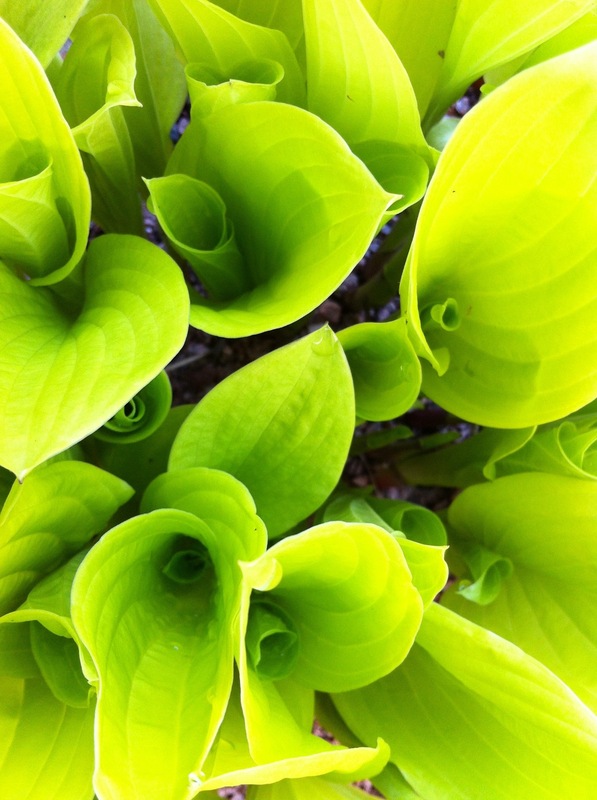 albopicta f. aurea, the golden fortune plantain lily. As hosta names go, both the latin and the common ones are a bit of a mouthful, but at this time of year the unfurling leaves need just one word of description – dazzling. Don’t worry. There are much worse things to be addicted to! Will take lots of pics for you at Chelsea next week.